State Sen. Andy Manar's image is reflected in a mirror janitor's closet converted to use as an art classroom, after an underfunded school district had to close its middle school and move those classes into its elementary building. 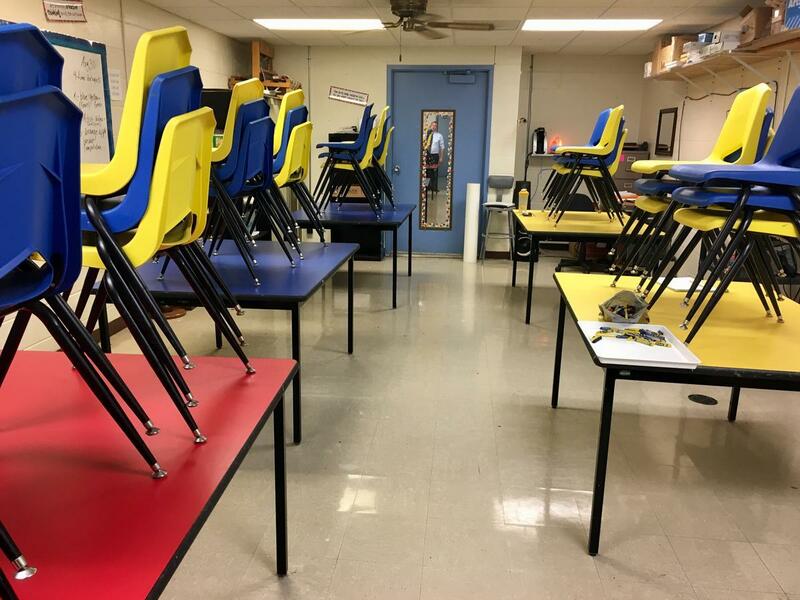 Manar sometimes cited this classroom to argue for more equitable school funding. The state is paying for equity on an annual installment plan — around $350 million per year. But ever since the new law went into effect, state board members have made a conscious decision to ask the legislature to appropriate enough state funding to meet every district's needs. Today, ISBE approved a budget request for $15.6 billion. “It’s a very important budget request representing the calculations of how much it costs to fully fund a quality education for every student in Illinois, and ensure that every child in each community is put on a path to success,” said Jackie Matthews, spokeswoman for the board. The board made an almost identical request last year, and received about half that amount in appropriations. Asked to confirm that fact, Matthews would only nod her head. “So those are the questions I think we want the approved budget stand for itself today,” she said. Board members did include a comment in the title of its budget request. It's called "Funding A Civil Right: Quality Education For All." The largely symbolic request will be sent to the governor and lawmakers next month.